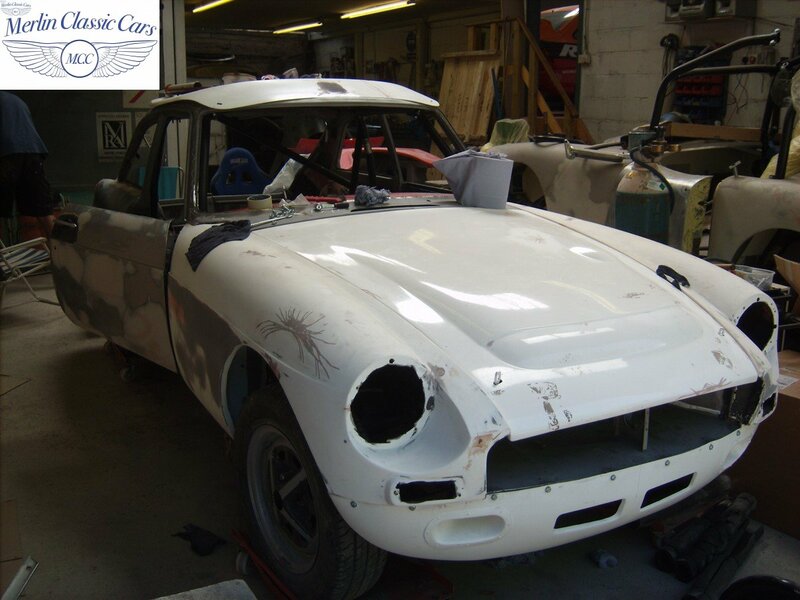 The latest addition to Merlin Classics race cars is a 1967 MGB GT, this shell is an early example with a narrow gearbox tunnel, this has been modified to fit the later gearbox. 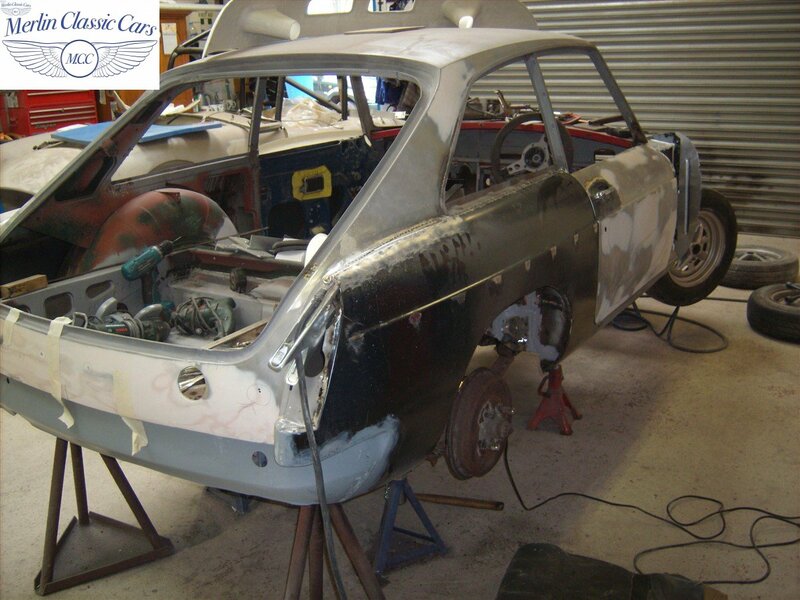 This car has undergone a full restoration with chassis and shell sandblasted to bare metal, after which a lot of metalwork was required and completed. This metalwork included but wasn’t limited to – new intermediate & outer sills both sides, new outriggers both sides, new rear quarter bottom halves both sides as well as other metalwork in the floors and arches. The rear “T” sections were removed and the tops of both rear wings smoothed out. The doors are steel with standard windows and quarter lights stripped of interior trim. 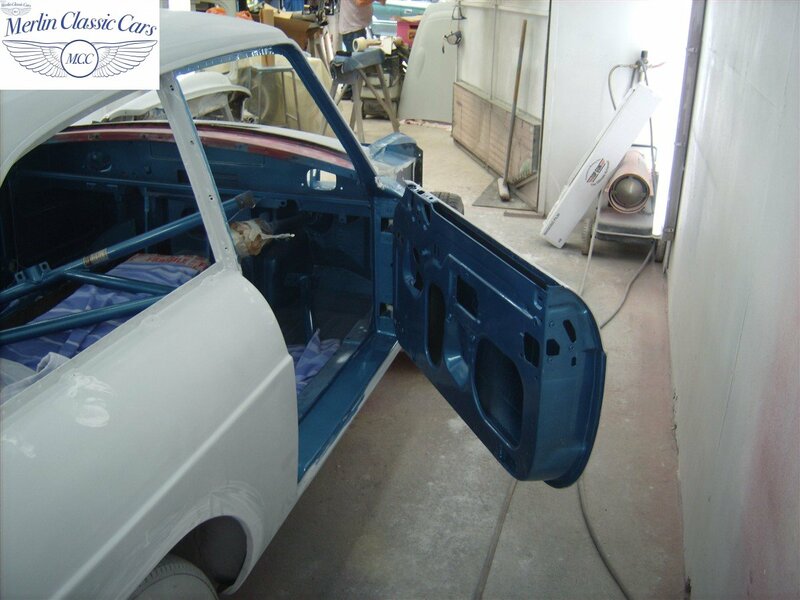 The bonnet, both front wings, front valance and the boot lid are all fibreglass, the rear screen and both rear windows are bonded Perspex, these measures were applied to keep the weight to a minimum. We also have another fibreglass front valance specifically for racing with. 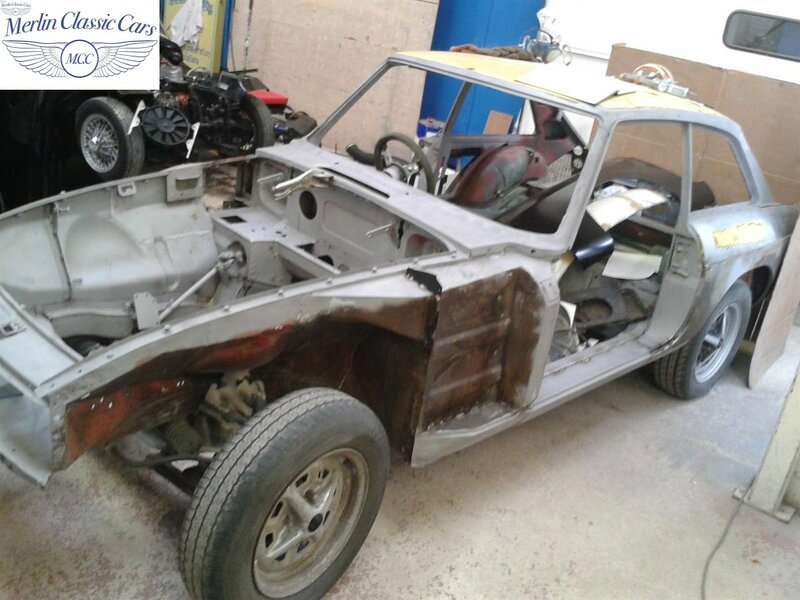 The car is fitted with a Safety Devices bolt in roll cage painted body colour and is running on uprated polyurethane bushes, the standard suspension has been lowered with negative camber. 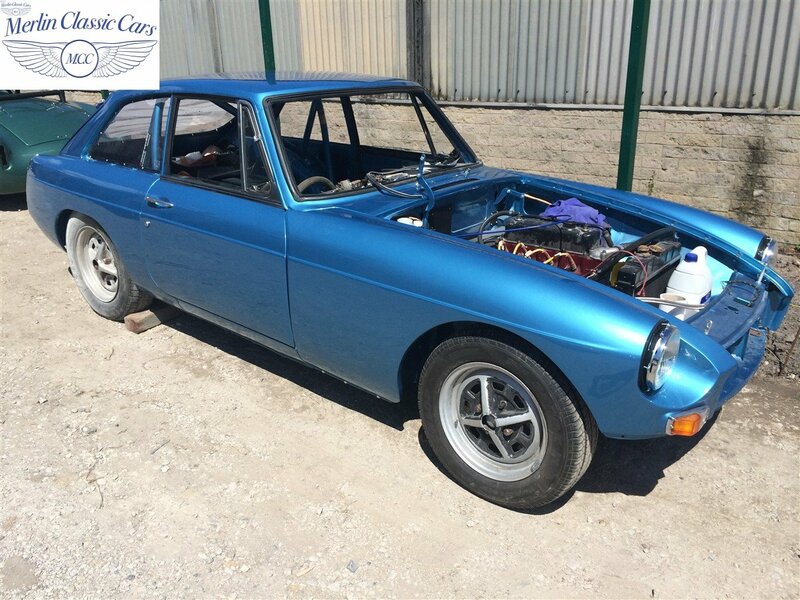 Under the bonnet is a freshly rebuilt uprated specification 1840cc engine. We have also recently rebuilt a 1950cc Aldon racing engine to be fitted at a later date. The keen eyed among you may notice it is actually an MGC bonnet and is also painted in Riviera Silver Blue which is an MGC colour, simply because we prefer the look of it!